What a day we had today! It started off so nicely. 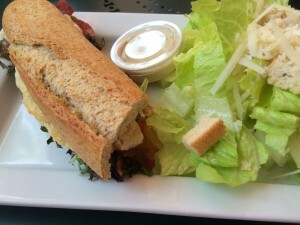 A friend and I went to Aventura Mall where we had a great morning. I talked about how fancy this mall is in my Sweet Potato Marshmallow Bake entry. Today I realized it is even fancier. 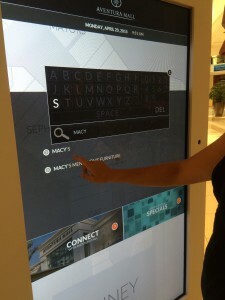 They have an interactive mall directory board! You type in what you are looking for and it shows you on a map exactly how to get there! Fancy. In addition to all the high-end stores, they also have an Ann Taylor Loft. Which was having a 40% off sale! 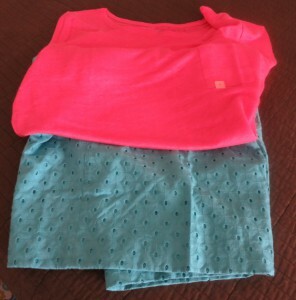 I scored some really cute teal shorts and a coral linen shirt to wear with them. I am getting my Miami Level Trophy Wife style on! We then left the mall and that’s when the day got crazy. We got to the school for pick up, and right when we arrived a tornado warning was being sent. The Principal and Vice Principals were running around outside the school, making all the parents come into the office instead of standing around outside like we normally do. They even had parents leave their cars. It was chaos inside the school. The classes had left their rooms, and were all standing in a clump near the exit. Parents where coming from two different directions, trying to grab kids. I got Averi and headed to my car. She said that she was worried about the storm, but in my mind we were on a hurricane watch, not a tornado one. And since the sky wasn’t bad, it wasn’t raining, and there was no wind, I thought everyone was overreacting. I told Averi we were going to go home and make hot chocolate and enjoy some light rain. And that’s what we did. I even added some of those peppermint chips that we made the brownies with the other day to the hot cocoa, and it was delicious. Then I started getting texts from friends. One was forced into a closet at the school. Another said she couldn’t get her daughter because they were on lock down. Another was in the closet at her house. And I started to wonder if I had been too blasé. Because that is when I realized it was a tornado warning, which apparently is very different from a hurricane. But my only reference for tornados is Wizard of Oz and Where The Heart Is (really great movie with Ashley Judd and Natalie Portman, highly recommend if you haven’t seen it). So I was still thinking we would know if something bad was going to happen as we would see a big funnel coming towards us. And I hadn’t seen one. On the plus side of the day, when I thought it was a hurricane I was picturing an evening of rain. 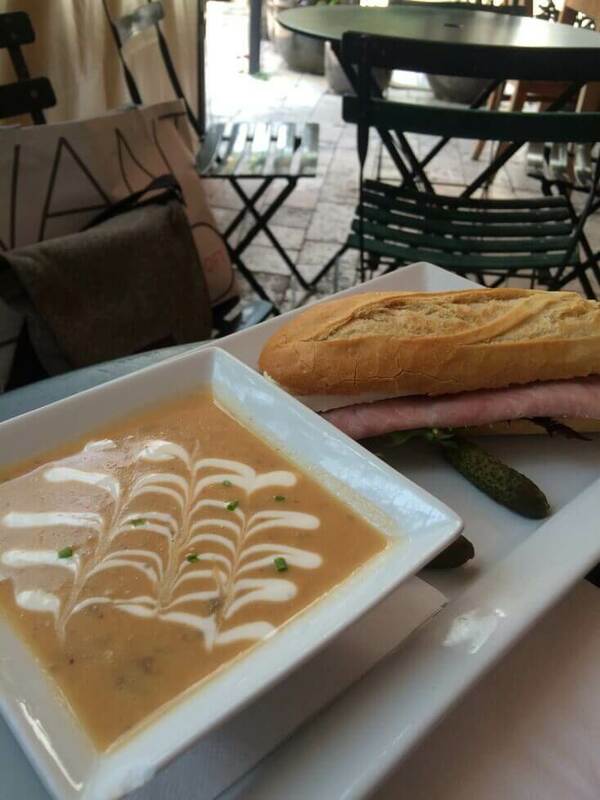 Which meant we needed soup for dinner. 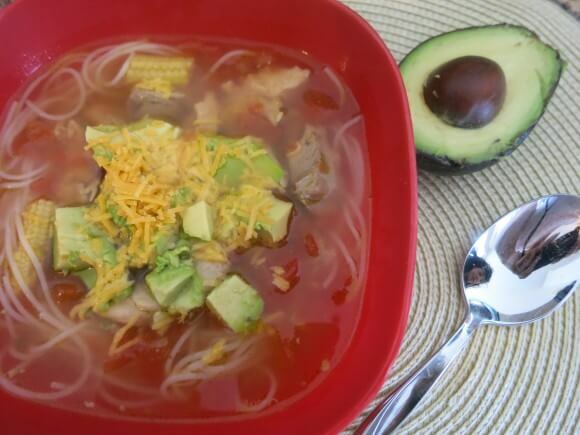 And since I had avocados and tortillas, that actually meant we needed tortilla soup for dinner. I went on Pinterest and found a recipe on lilluna for a Chicken Tortilla Soup that had over 24000, so I figured that one must be good. And I had enough of the ingredients to make it work. I kept all of her seasonings the same, but had to swap the can of corn for a can of baby corn, which I cut up. And I have to say, I liked having the big, soft chunks of corn, versus single kernels. I also did not have black beans, so I was going to use rice, which is how I am used to the soup being prepared. But then I realized I only had jasmine rice. So I went with rice vermicelli instead. The original recipe called for six cups of chicken stock. I opted to do 3 cups chicken broth and 3 cups vegetable broth. I really like the flavor of vegetable broth, and thought it would add more depth to the soup then just straight chicken. But I didn’t want to eliminate the chicken flavor completely. I think it was a successful blend to start the base flavor. 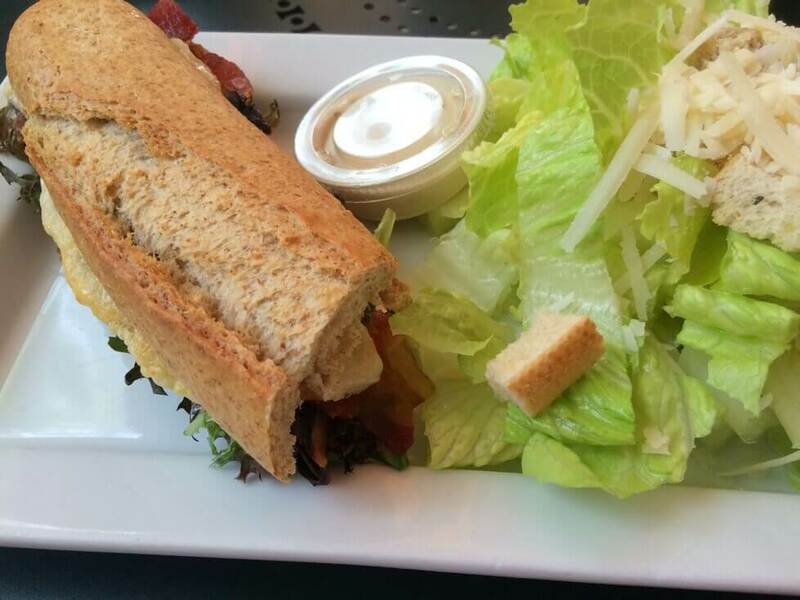 And speaking of base flavor and chicken, the only other major change I made was to the chicken. 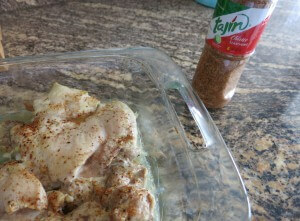 I decided to season the chicken thighs with tajin classico seasoning before I baked them. This seasoning has a lime taste to it, which I wanted in the soup. And I didn’t have actual lime to squeeze in at end. Season chicken with Tajin Classico Seasoning. Bake for 30 minutes, until chicken is cooked through. Remove chicken from oven and shred. Place shredded chicken in crock pot. Add tomatoes through pepper (9 ingredients total) to crock pot. Heat on low for 6-8 hours, or high for 3-4 hours. 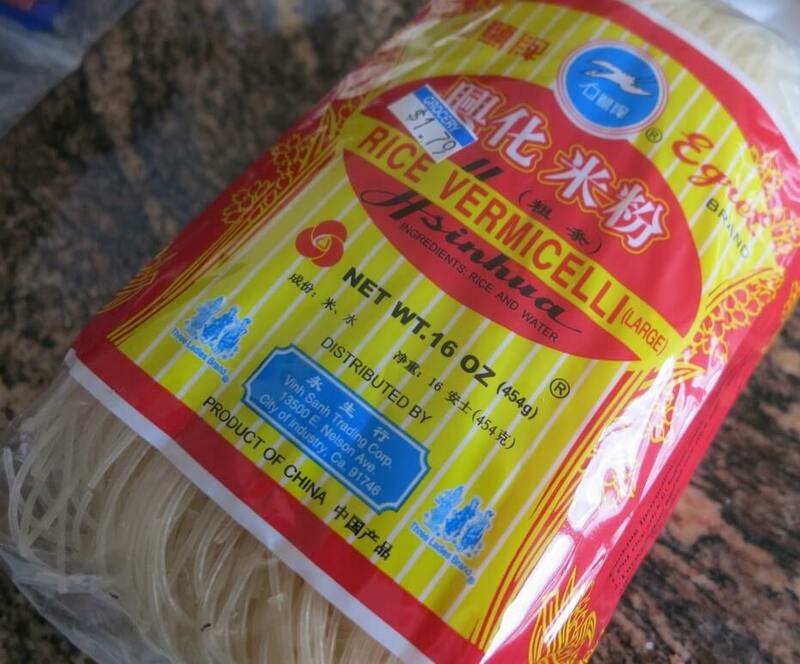 Ten minutes before you are ready to serve soup, prepare the rice vermicelli according to directions. Place ½ cup of noodles in a bowl. Ladle soup over noodles. Garnish with avocado and cheese. Enjoy! *I am not sure if this is a seasoning that is hard to find outside of Miami. If you don’t have it, just use a Mexican seasoning blend that you do have. Or you can even skip this step, as there is still plenty of flavor in rest of soup. But you may want to have fresh lime on hand to squeeze into soup if you do.